Submitted photo The Lisbon David Anderson High School winter homecoming court: (from left) Natalie Ammon, Maddie Freeman, Haley Toot, Karsyn Faulk and Cadee Johnston. The new queen will be crowned by the retiring queen Madison Hall on Friday, Feb. 15 at the game against Jackson-Milton. 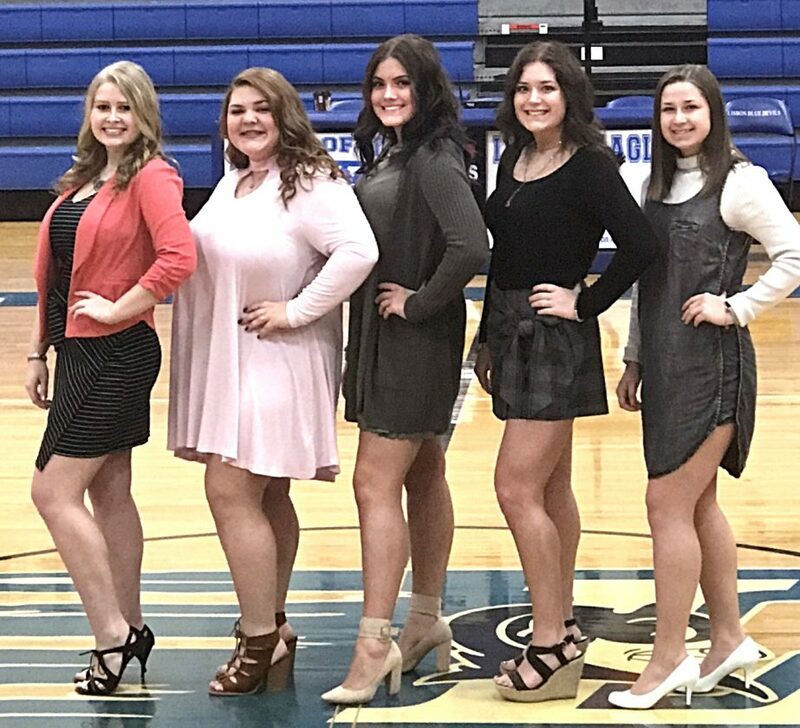 The Lisbon David Anderson High School winter homecoming court: (from left) Natalie Ammon, Maddie Freeman, Haley Toot, Karsyn Faulk and Cadee Johnson. The new queen will be crowned by the retiring queen Madison Hall on Friday, Feb. 15 at the game against Jackson-Milton.